Nothing says Happy Friday quite like a good ole soliloquy on feeling stuck, because let’s face it: everyone has times when this blah feeling creeps into their life. There are different remedies depending on the stickiness of the situation, and if I had to make a comparison between concrete, quicksand (a phobia of mine since The Jungle Book), and mud – I would compare my recent sticky situation to being stuck in the mud. That being said, I did what any person stuck in said metaphorical mud would do, and flooded all of my friends’/family members’ phones with questions asking for advice. While said advice was awesomely insightful, the conversations ended with me, myself, and that still very much stuck feeling (kind of like after a shopping therapy session at Barney’s). After a couple of tries at the getting-advice-game, I came to the realization that I was trying to get someone or something to pull me out of the mud. However, this time, I needed to use my own muscles to pull myself out. I will be the first to tell you that new (Celine) bags are what dreams are made of… I mean, how can you not stare at the colors on this bag? I rarely experiment with this much color in one outfit (yet alone an accessory) and I have to say, Celine makes coloring outside of my usual all-black-everything lines a ball of fun! 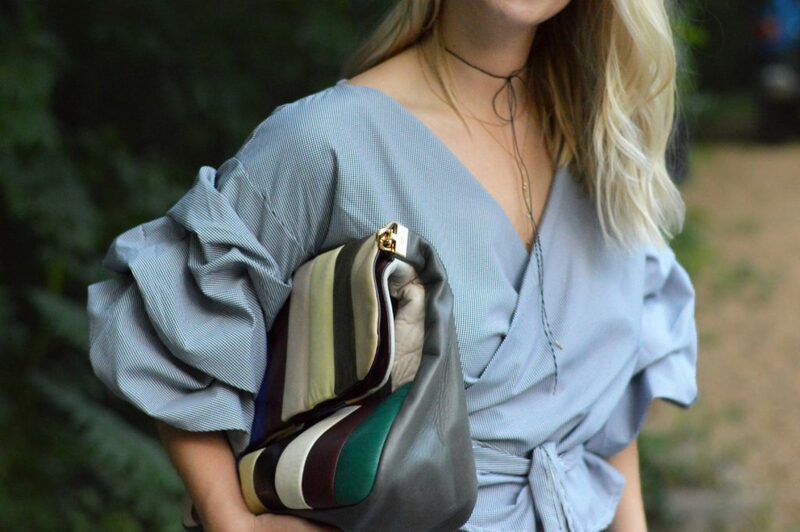 One of the best things about fashion is that you can mix up your outfits whenever your heart desires with a tweak or a purchase and this bag did just thought for moi (see how Rebecca styled another Celine here). Are you looking for a new handbag to change your style up a bit for the summer? Look no further than Trendlee for a beautiful selection of gently used bags! We even have a code “THECRYSTALPRESS” for 5% off of your purchase, folks! While I wanted to continue to break out my spring dresses and cut-offs over the past week, mother nature decided that she had a whole-lotta-dreary weather on the agenda instead. 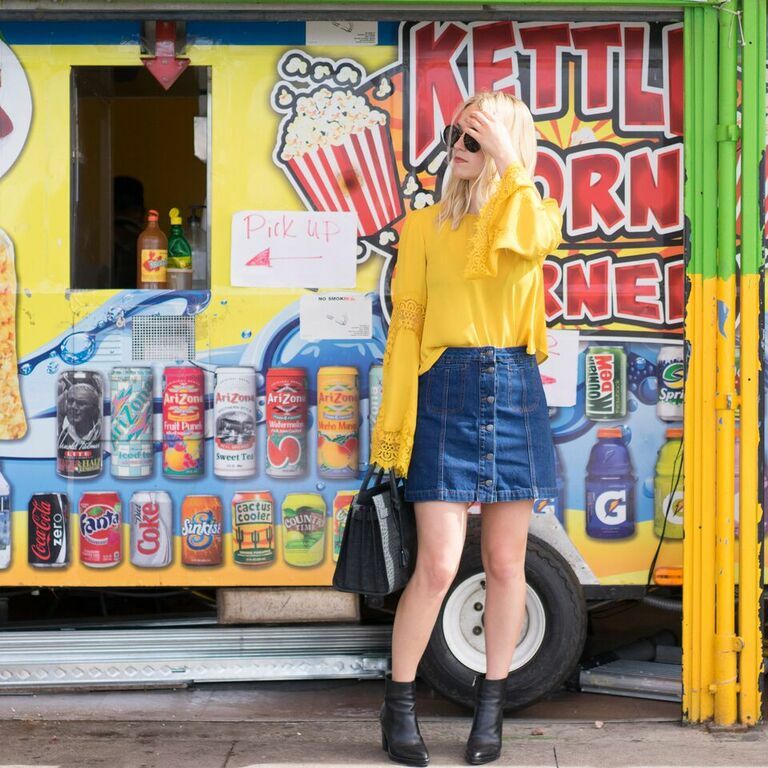 When the April showers so rudely carry into May, Catherine’s fashion blogging plans must improvise – like a pop star who forgets their next dance move on stage and the show must go on. Do you think Selena Gomez or Beyonce would get discouraged because of a little choreography confusion or better yet, a little rain? Anyways, I digress, back to what Selena would do ……Selena would call T Swift for some inspiration + keep pushing through whatever discouragement comes her way. I shall do the same except sub T-Swift for Reb and discouragement for outfit affecting weather conditions. While I may not be risking a forgotten dance move amidst a Revival concert tour that involves being in front of thousands of people nightly, I am risking outfits that are unfit for weather conditions (just like every other non-Selena Gomez, normal person lol). I will be the first to say that this fringe chambray button down is the something good purchase that came from me pushing through a little thing I like to call “fashionista’s block.” A little cold-supposed-to-be-spring weather aint got nothin’ on a good fringe button down. After all, Selena Gomez is rocking a C2H4 fringe jean jacket on her #Revival tour which means we are outfit soul sisters and we were definitely, positively in the same squad in another life. Posted while listening to “Revival” by Selena Gomez. What goes through your head when you think of the month of May? I think of peonies blooming, The Temptations, The Met Gala, and (selfishly) my birthday. As I watch the looks roll in from the Red Carpet at The Met Gala, I distract myself from not being in attendance (LOL) with the fact that it is my birthday week. A pretty logical pick-me-up if you ask me, especially when your birthday week is kicked off with photos from Reb and I’s favorite photographers, J+D Photography (also shot with them here + here.) It is a true luxury to have such a talent located in the heart of Richmond and Rebecca and I are so grateful that J+D Photography could fit us into their busy schedule. These two and their team are in high demand and we have no doubt in our minds as to why. Shooting with David and Jada is nothing but enjoyable, if you can’t tell from the pictures of Rebecca and I! While it is going to be hard to live up to this birthday week’s kick-off (thanks to Jada and David), Rebecca and I are going to end my bday week by officially celebrating my birthday on Saturday. You can follow along with our tour-de-Richmond on Bloglovin’s snapchat (add them: BloglovinHQ.) 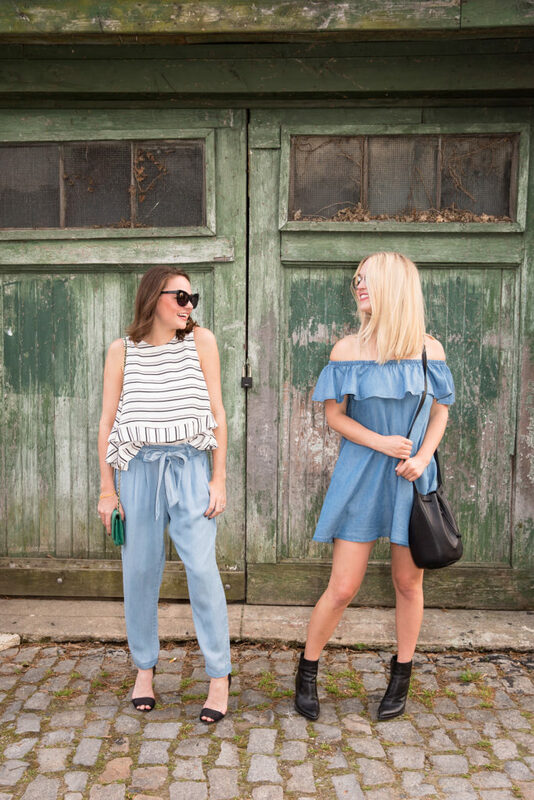 As long time users and lovers of Bloglovin’, Rebecca and I are a little too excited for The Crystal Press to takeover their snapchat on Saturday while we bee bop around the river city and clink glasses of Veuve Clicquot (it would be a birthday sin not to!) We can’t promise anything revolutionary, but we can promise entertainment so don’t forget to follow BloglovinHQ on snapchat so you don’t miss out! 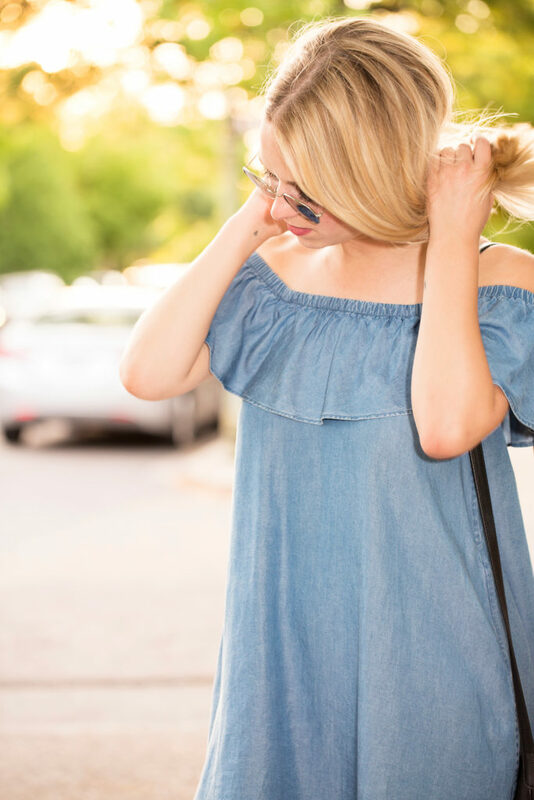 PS: I found this Rebecca Minkoff chambray Dev Dress at Monkees of Richmond and it is such a staple for Spring. Be sure to head there if you are in need of the latest Spring trends and stay tuned for Reb’s look from Monkees later this week! Posted while listening to Gorgeous by the X Ambassadors. In contrast to my normal sequence of events, I thought of the title for today’s blogpost before I wrote it so looks like today’s post is an (obvious) play on words. You know, because I love this faux leather vest (as a shirt, over a shirt, etc) and I think inVESTing in yourself is the best thing since sliced bread. When was the last time you invested in yourself? Whether it’s taking that creative writing class you’ve been eyeing or getting out of your comfy bed and going on that morning run your body has been craving, the concept of investing in yourself may seem trite (and sound a lot like the hook in the Biebster’s single “Love Yourself”) – but I think it’s something to be considered more often. One thing I did to invest in myself (and this blog) over the past few months was take a photography class at the Visual Arts Center here in Richmond. To tell the truth, my attention span loathes the idea of sitting in a class for 3 hours, but my heart is always happy that I went. 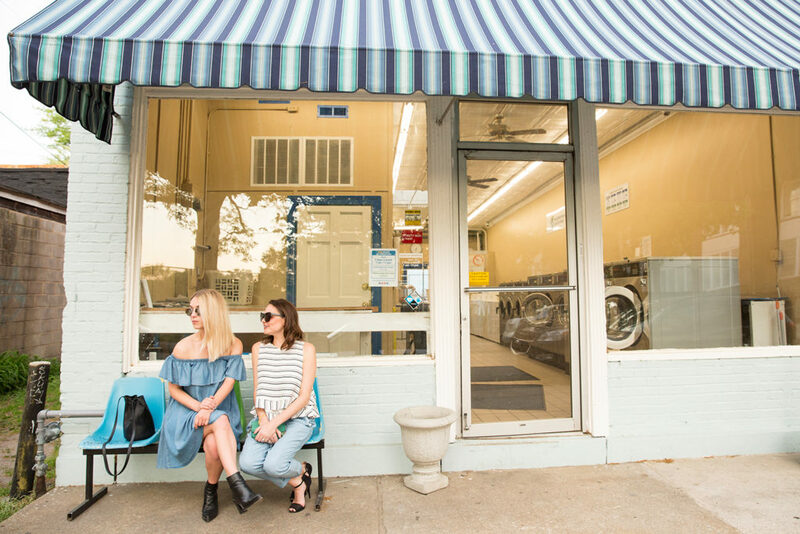 I’ve met some awesome people and learned so many tricks of the trade that have helped Rebecca and I out with our photography for our duo fashion blog, The Crystal Press. Novices just the same but we are trying, folks! That brings me to my next point (fueh, I need to take a breather this is a LONG one): the art scene in Richmond. Richmond has some of the best murals in the world and we are so excited to celebrate that and art in general at the Richmond Street Art Festival this weekend. To make it even better, we are launching #rvaPin 2 at the festival as well! We posted the first picture of it on Instagram last night here (drumroll for Reb’s photography skills please..) Anywho – come see us, get some pins, and support youth art education. It’s going to be a helluva time! I first discovered this Raven Slip style by Freeps during the Richmond store one year anniversary event last spring and added it to my long list of free people slips I love instantaneously. I wore it in lavender, but my roommate/good friend/makeup-artist/sometimes photog snagged it in this color and lent it to me for my Cali trip last week. I usually wear the FP slips solo or underneath other pieces, but in this instance – I decided to give the Raven slip a little more of a jumper role. I am so excited about all of the slips that Free People has right now and have linked some below. What is your favorite freeps slip of all time? Is everyone counting down the days until Spring like the two of us? I will be celebrating the first day of Spring in California while Rebecca heads to Guatemala for a week. We will be apart from each other for a whole 10 days and the separation anxiety is going to be in full force. I am last minute heading to LA next week for fashion week and have partnered with our friends at Zappos & Shopstyle Collective to show you some of my favorite Spring picks (aka what will be my saving grace in my suitcase next week) from Zappos.com. Reb’s picks are shortly after mine! When a last minute trip gets thrown into my lap, this is what happens: online shopping ensues and I start badgering Rebecca with hypothetical outfits like clockwork. 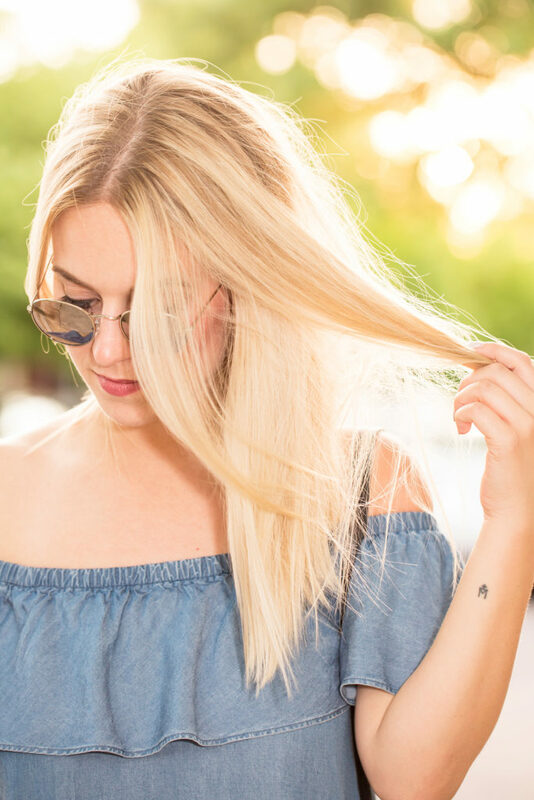 Flying across the country right in time for Spring is the perfect opportunity to shop for easy, breezy pieces that are simple to pack and versatile. I was on the Zappos site for approximately five minutes before I stumbled across this LNA number and sent it to Reb immediately. I love the maxi dress version of their staple t-shirt. We both agreed that the cut out detailing is perfectly in line with the Spring trends and also mixes up the t-shirt maxi just enough to allow several re-wears throughout my Cali trip. I paired this maxi with 3 different pairs of shoes because that is exactly how I plan to wear it: with everything from sneaks, to Birkenstocks, to statement heels. As if finding all these pieces in one place wasn’t enough, Zappos carries accessories as well! I snagged this pair of Ray-Bans that I have been wanting for sometime because I figured there was no better time to get them than in anticipation of Spring! The online shopping experience at Zappos is so ideal because they provide the best customer service and make returns easy peasy, as long as they are within 365 days! Yes, you read that right: 1 year. So shop away on Zappos.com and try some new Spring trends without the pressure of a short return turnaround. 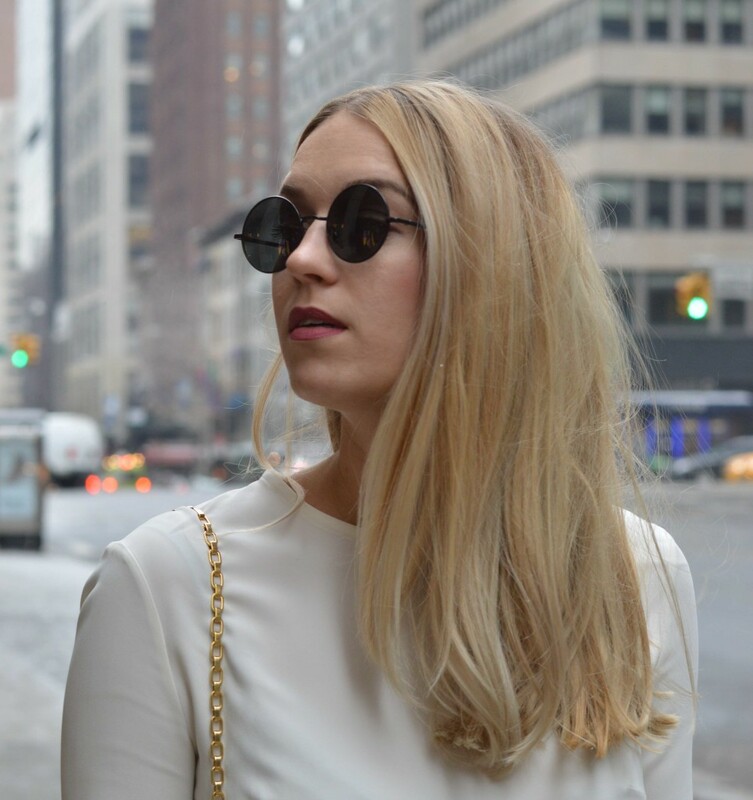 This outfit is a flashback to the look I wore to the Monique Lhuillier show during NYFW. Rebecca tried to snap a pic of me wearing this ensemble in Moynihan Station (where the show was located) but the lighting would not allow the way that the snowy NYC streets do here. I couldn’t have been more excited to use this Louis Vuitton bag courtesy of Bag, Borrow or Steal around the city and to different fashion shows. If you have been following along with The Crystal Press, you know that we are lovers of Louis Vuitton and this bag is no exception. On that note, this white Iris + Ink top (from Shopstyle) is one of my all time favorite shirts I’ve ever worn. The sleeves have amazing zipper detailing at the wrist and styling on the back of the shirt speaks for itself in these pictures. 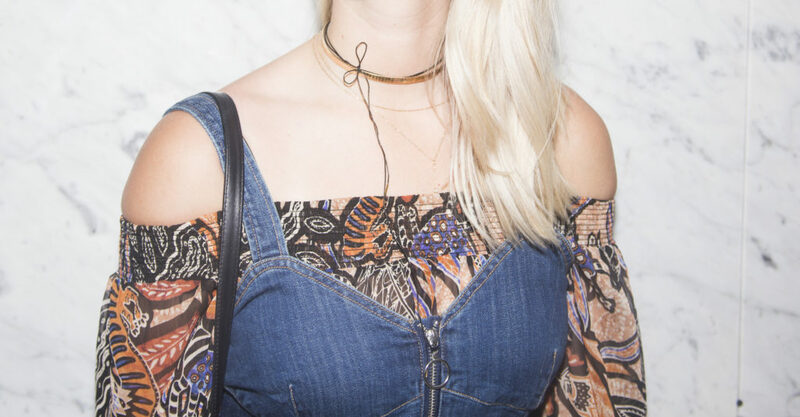 All I have left to ask is – can every week be fashion week? A girl can dream.